Sim. Hammond 2015, p. 313, no. 239, fig. 24 (Panayia area, second half of 6th century). 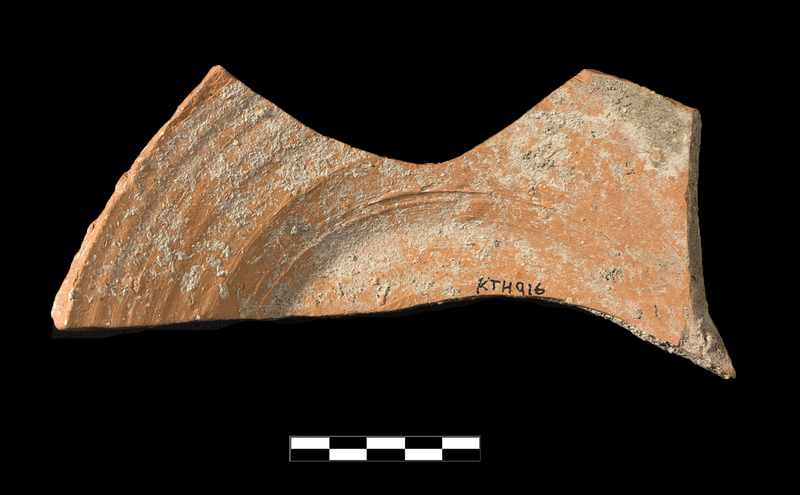 Single base sherd preserving slightly less than 1/2 of circumference. Low false ring foot, extant flattened floor drops to very near level of base towards center, lower part of sloping walls preserved. Very near Argolid fabric slightly more granular with perhaps additional added sand, “lime” chunks present as usual. Exterior surface fired to usual pale color, interior same as fabric. 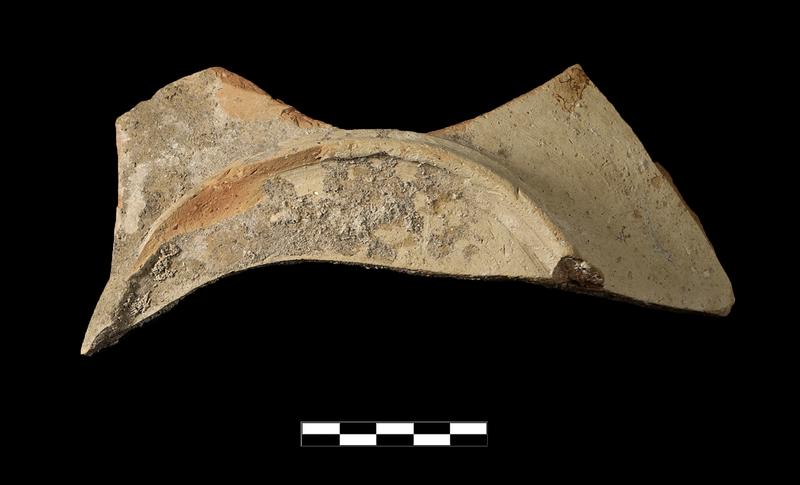 This firing and relatively thin wall suggest a large jug or amphora rather than utilitarian bowl.